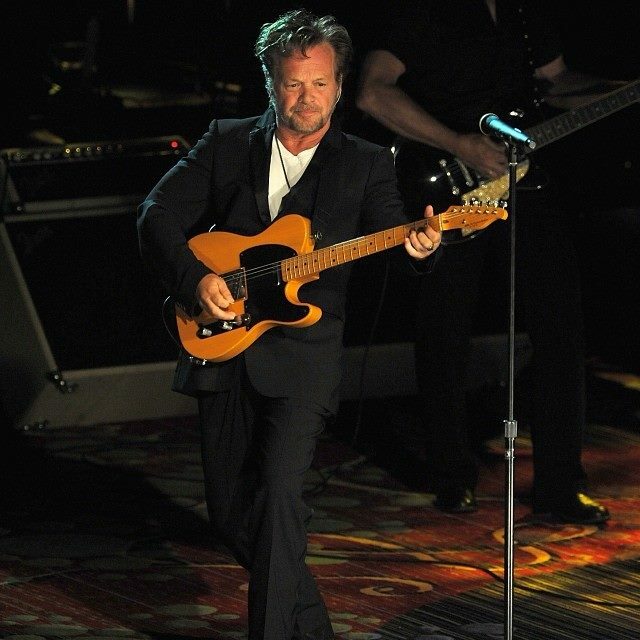 A man was arrested by the Monroe County Sheriff’s Department on February 7 for breaking into the Indiana home of John Mellencamp. According to The Seymour Tribune, police responded to an alarm at the residence at 6 a.m. after Robert Carter drove through an entry gate and kicked in the door of the rocker’s home, where he was found and taken into custody. Police say Carter admitted to kicking in the door of the primary residence, and told officers he was there to “arrest Mellencamp for supporting a government” which Carter did not support. No one was at the home at the time of the incident. Carter was arrested on a Level 4 felony charge of burglary, a Level 6 felony charge of residential entry and a Level 6 felony charge of criminal trespassing; a Level 4 felony carries a sentence of between two and 12 years, if convicted. Police confirmed that Carter had also been arrested the day before the incident at Mellencamp’s on a misdemeanor charge of possession of a handgun without a license after his recent social media posts prompted an advisory to law enforcement to be watchful of him, according to a news release. On the day Carter was found in Mellencamp’s home, the singer opened up a US tour in support of his latest album, “Other People’s Stuff”, in South Bend, IN. In December, the project debuted at No. 7 on the Billboard 200 to deliver the Indiana rocker his highest US chart position in a decade. Culled from seminal albums, compilations, unearthed sessions and documentaries, the project presents a collection of previously-released tracks Mellencamp recorded between 1993 and 2018. Actress Meg Ryan announced her engagement to Mellencamp in November.